You want your survey respondents to engage with your survey, not get annoyed and close it down early. Engaging survey respondents can be simple if you tie into the natural tendencies people have to not waste time. Don’t ask questions that you already know. By using information you already have (i.e., demographic information) you can improve survey experience and email communication. No one wants to be screened out in the middle of your survey. If someone doesn’t meet your criteria, screen them out before they begin. This way, you only send the right surveys to the right respondents. Send rewards as soon as your respondents complete the survey, not a month later. Automate this process so it’s easy for your respondents and for you. This can get jumbled and chaotic in a hurry. 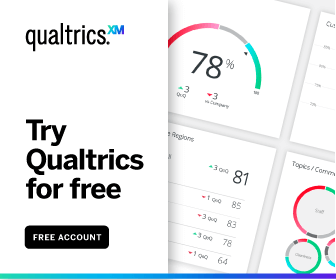 Let Qualtrics Target Audience do it for you. Continuing to send surveys when your respondents unsubscribe means you’re spamming them with survey requests. Doing this not only results in less responses—it also harms your brand. Avoid the temptation of asking too many questions in your surveys. If you tell a respondent that your survey takes 5 minutes but it really takes 10, you lose trust and goodwill. Learn additional tools and tactics for a high survey response. Did any of the questions take too long to answer? Did the survey present well on smaller screens like a phone or tablet? Were there any page errors? Was the logic working correctly? Did the survey take as long to answer as was promised? Were all the options in the questions applicable to the question? Another way you can test your survey is to run dummy test responses through it. This is an option that lets the survey platform send test responses that you can check. Use this functionality to ensure that your logic and embedded code is working correctly. Finally, a good way to test your survey is to run a soft launch. This means you only send your survey to 10% of your sample list and then pause data collection so that you can go through your data to ensure everything is running smoothly. Running tests on your survey is a way to make sure you have good results at the end. It’s very hard to go back and re-run a survey because it had errors. But it’s easy to just run a few simple checks before you launch to ensure you’ve avoided major survey pitfalls and errors.